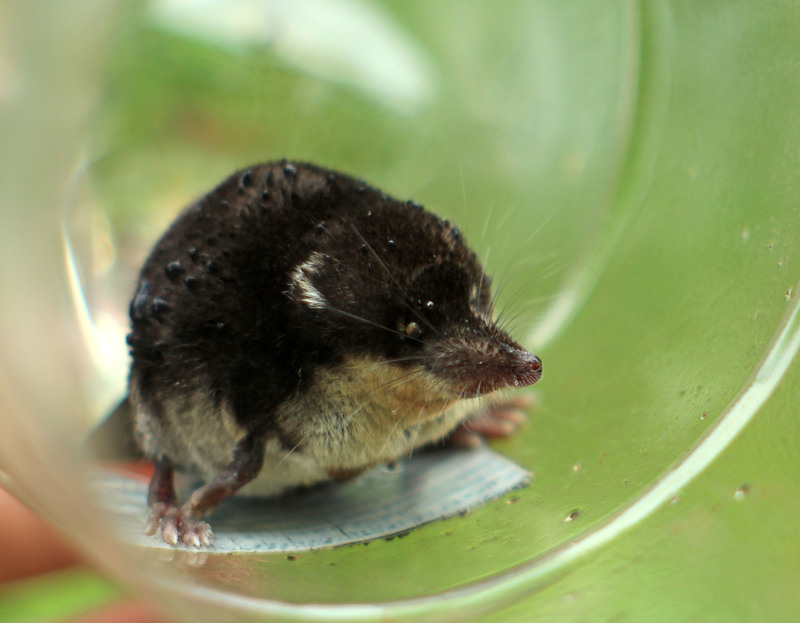 Water shrews are elusive little mammals that are often found around wetlands, ponds and along the banks of freshwater streams. These solitary creatures are mostly active during the moon light hours and are well adapted to life hunting in the undergrowth as well as in the water. They are good divers with their water resistant fluffy black coat and white tummy trapping bubbles of air. As such, they have a varied appetite from beetles on land to fresh water shrimps and small fish to even newts and frogs in ponds. These adventurous creatures also occasionally make their way into, but not out of bottle traps, and as they are unable to remove the water from themselves by shaking and scratching, they often unfortunately succumb to the cold and wet. Whilst conducting newt surveys the ecologist said that he had never had a little trapped shrew survive, and that it does happen during the course of a newt season. Unfortunately it appears to be inevitable when using the bottle trapping approach to surveys. 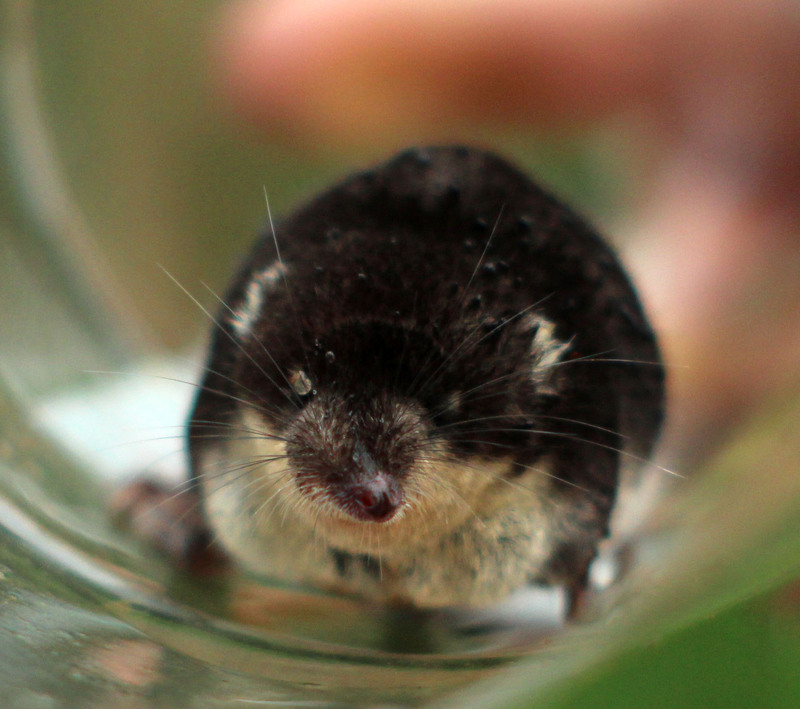 However, on this, my first encounter with a shrew we rescued little Wilson just in time. We were lucky enough to find him still alive when we went to collect our traps. He was a bit worse for wear when we found him: he looked very wet, cold and shaken. Surprisingly though, he still looked incredibly cute and much like a mole, with those small white ears, tiny eyes and funny elongated snout that made him stand out. When we released him onto the ground, he at first tried to dry himself on some moss but was not doing so well and was clearly very weak. So the ecologist carefully picked him up with his fleecy jumper, which offered both warmth and area for him to dry himself on. After about ten minutes he was a lot more active and as twenty minutes went by he had stopped shaking and was keen to run back off into the undergrowth. Needless to say, this pond won't be bottle trapped again and hopefully Wilson will have made a full recovery and is ready to breed this season.